The Midweek Muster is our new fortnightly running event where players have 30 minutes to capture the most hexes, with prizes for most captures, most hexes affected and other spot prizes for style. When Sam and I first started making Run An Empire, we hoped to make running fun in the same way as games or sports. Something where developing strategies is as important as physical skill and where (this bit is really important) those strategies can be discussed for hours in the pub afterwards. We believe Run An Empire has now reached that point – players have to plan where vulnerable hexes are, shape their routes to affect those hexes, and of course make sure to close the loop. It’s really exciting and we want to celebrate that. 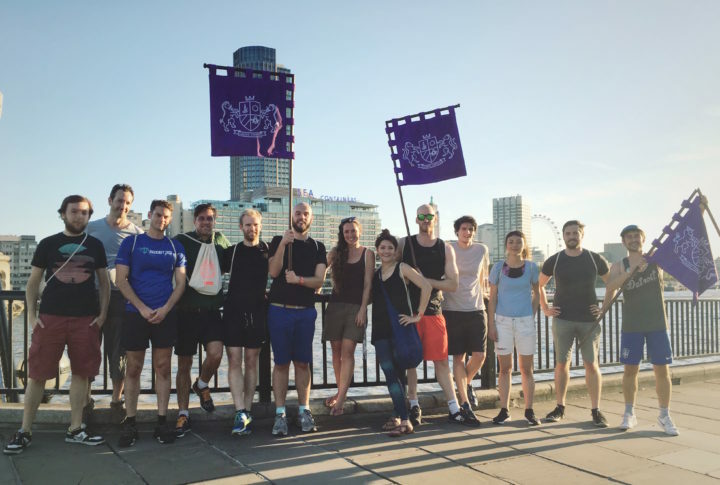 We wanted to give players a chance to engage with each other and the game in real life, while having a fun competition and creating a different kind of running club in the process. 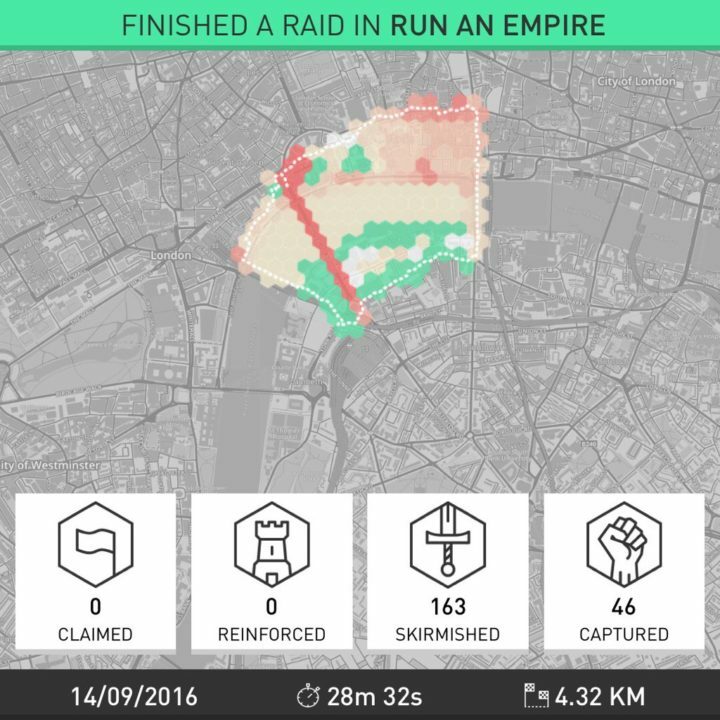 Everyone starts from the same location and you have 30 minutes, no more, to complete the biggest raid possible. You can run where you want, be as ambitious as you like and the winners receive prizes on the night. 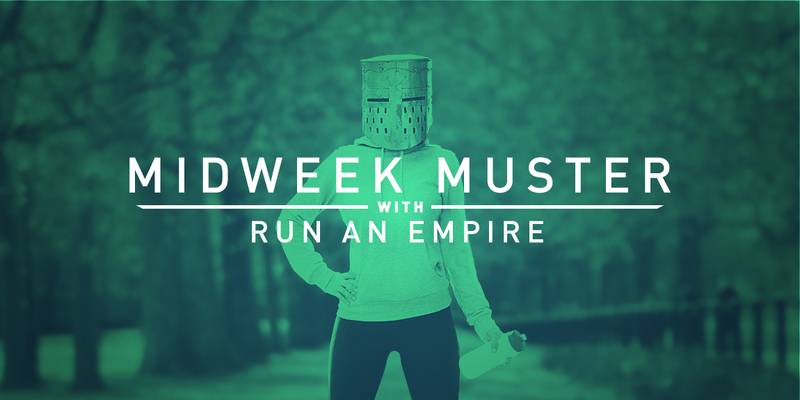 To compete, you just submit your run to Twitter or Instagram with the hashtag #MidweekMuster. As long as it’s under 30 minutes, it qualifies. Everyone present on the day will be eligible to win prizes and goody bags. The next Midweek Muster will be held at 6.45pm on Wednesday 28th, starting from Somerset House West Wing -come join us! RSVP to let us know you’re coming on our Facebook Event Page.